Epson WorkForce EcoTank ET-4750 15ipm Duplex Wireless Inkjet Multifunction Printer + Warranty Extension Offer! Get a free warranty extension by redemption! Just purchase this printer, and register your device within 90 days from purchase to extend your warranty to a total of three years! Visit https://www.epson.co.nz/register_product for registration! 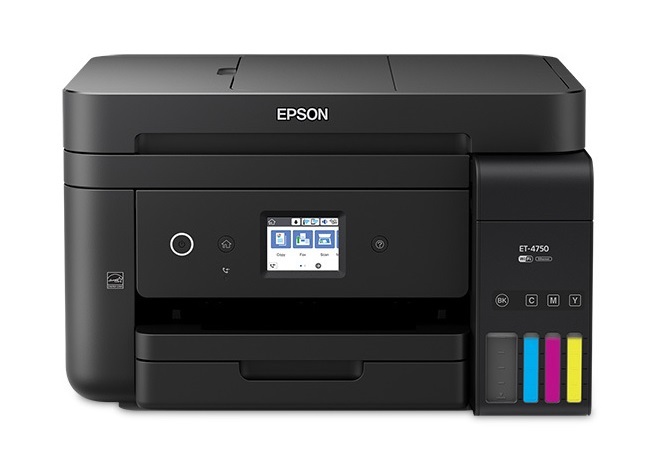 The WorkForce ET-4750 EcoTank all-in-one, powered by PrecisionCore, offers revolutionary cartridge-free printing with easy-to-fill, super-sized ink tanks. It includes up to 2 years of ink in the box. That’s an incredible amount of ink — enough to print up to 11,200 pages, and equivalent to about 30 ink cartridge sets. Plus, it features auto-stop ink bottles with each colour uniquely keyed for easy filling of each tank. The ET-4750 also offers a high-capacity 250-sheet paper tray, fax, 2.4" colour touchscreen, 30-sheet ADF, fast auto 2-sided printing, and convenient wired and wireless networking. 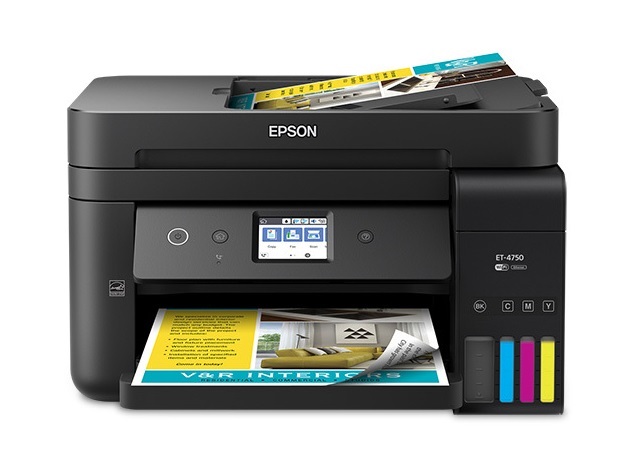 • For one upfront price, the Epson EcoTank printers come with enough ink in the box to print for up to 2 years, so you can print 14,000 pages in black and 11,200 pages in colour without worrying about ongoing ink replacement and costs. • Connectivity: High Speed USB — Compatible with the USB 2.0 Specification. I bought and earlier model, the ET 4550, in April 2016 and today I filled it for the first time although it wasn't completely empty. Total print was 12299 pages, 8277 colour and the balance B&W. Highly recommend. 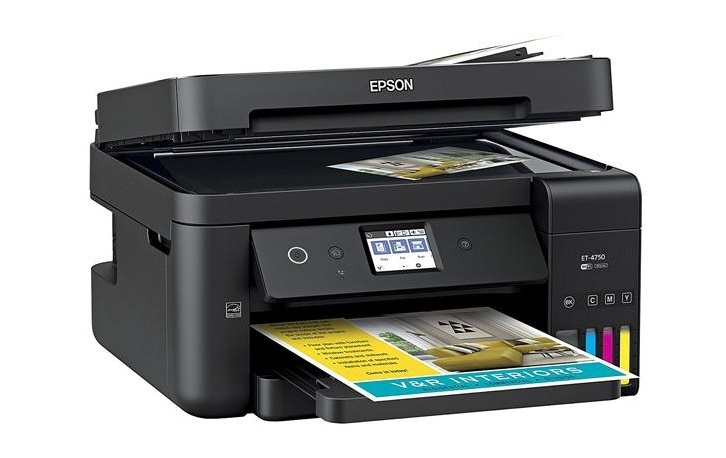 Dearer than the average printer but you aren't spending a fortune of cartridges.